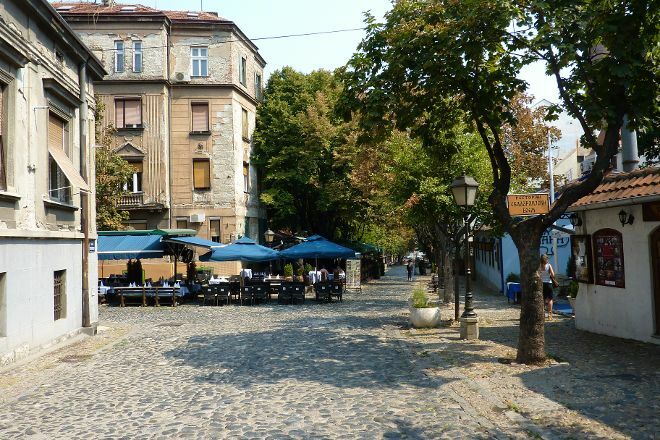 Nestled in the heart of the city, the picturesque cobblestone Skadarlija features traditional restaurants with live music, art galleries, and souvenir shops. Dating back to the 19th century, this was a Romani settlement at first, which later saw an arrival of craftspeople and caterers. Eventually it became the favorite spot of the city's artists and bohemians, with a continuous stream of entertainment and excellent cuisine. Take a walk along this old-world street, lined with rustic buildings and statues, and then duck into one of the restaurants to taste the region's most typical meals while listening to the sounds of brass or tamburica bands. It's best to wear comfortable shoes here, as the roads are bumpy. Using our world travel planner, Belgrade attractions like Skadarlija can form part of a personalized travel itinerary. Earlier, the streets were covered with cobblestones. However, this is hardly anywhere to see. Almost any restaurant playing Serbian music. 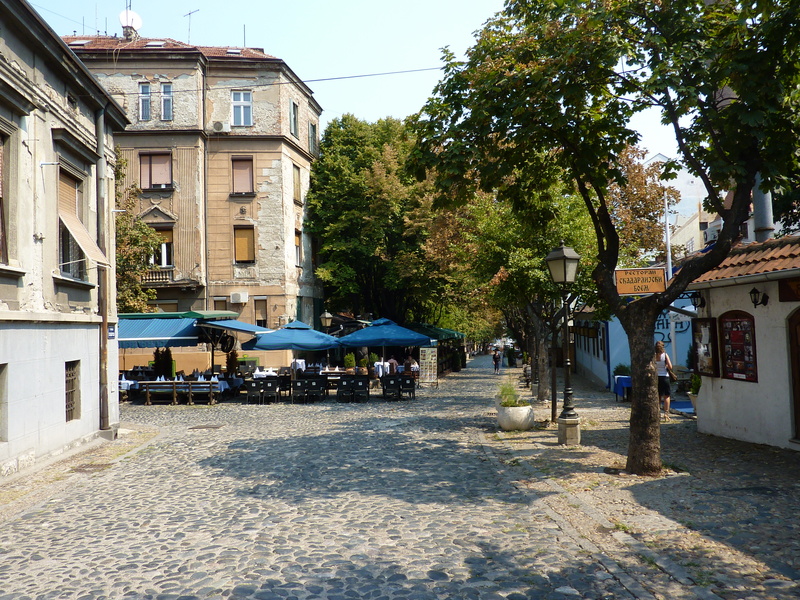 It is a stone-paved Street, with many places to eat at noon or in the evening. They call it the Montmartre, but I do not agree much in comparison. Every day, we help thousands of travelers plan great vacations. Here are some tips on how to use your Listing Page to attract more travelers to your business - Skadarlija. Promote your permanent link - https://www.inspirock.com/serbia/belgrade/skadarlija-a120384873 - on your website, your blog, and social media. When a traveler builds a plan from this page, the itinerary automatically includes Skadarlija. This is a great way for travelers looking for a great vacation in your city or country to also experience Skadarlija. Promoting your link also lets your audience know that you are featured on a rapidly growing travel site. In addition, the more this page is used, the more we will promote Skadarlija to other Inspirock users. For best results, use the customized Trip Planning Widget for Skadarlija on your website. It has all the advantages mentioned above, plus users to your site can conveniently access it directly on your site. Visitors to your site will appreciate you offering them help with planning their vacation. Setting this up takes just a few minutes - Click here for instructions.